With a population of 47.7 million, Colombia is South America’s second largest country and its third biggest economy. The country is classified as upper middle-income; poverty levels have more than halved over the last quarter of a century to under 30 percent. Even so, a GINI index signals a large measure of social inequality. Poverty and food insecurity are markedly higher in rural areas and disproportionately affect women. Despite high growth rates in recent years and a strong farming tradition, Colombia continues to imports 28 percent of the food it consumes. The economy is increasingly reliant on oil revenues, which makes it particularly vulnerable to price fluctuations. The promise of durable peace, after decades of civil conflict, remains fragile due to high levels of violence and crime. This constrains development and the delivery of services in many parts of the country. WFP has been present in Colombia since 1969. 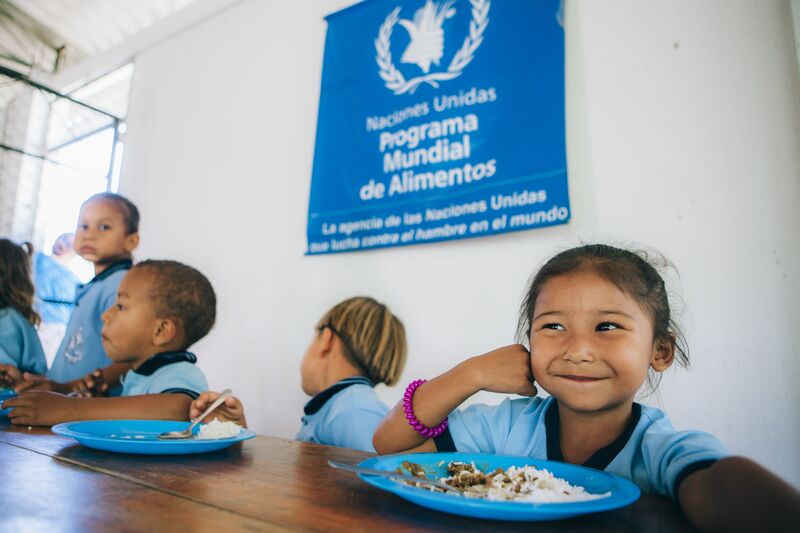 The UN agency’s strategy in Colombia complements the government’s peacebuilding efforts and aims to build government capacity by strengthening their social programs to improve the food and nutrition security of conflict-affected populations. Based on the lessons learned and in consultation with the government, donors and other partners, WFP is reorienting its strategy from humanitarian relief to longer-term recovery, resilience building and capacity strengthening with a differentiated approach. In 2015, WFP began implementing a Protracted Relief and Recovery Operation, which aims to reach 660,000 conflict-affected people over three years. WFP contributes to Colombia’s National Development Plan and Post-Conflict Strategy by improving access to food in remote areas; providing school meals; reducing micronutrient deficiencies and chronic undernutrition; building resilience; cutting disaster risk; and supporting smallholder farmers and their communities.